(Text automatically translated) Beautiful Charming House located in the heart of the beautiful village of SIDI BOU SAID (World Heritage of Humanity by UNESCO.) The decoration, in harmony with the traditional architecture, was particularly soignée.D a modern comfort, it is fully furnished and equipped (central heating, telephone, TV with satellite dish, linen, crockery, cutlery, cooking utensils, fans, ...). Ground floor with patio verdure.Trés large upstairs terrace with stunning views over the village and the Bay of Tunis. Nearby: taxi rank, train station, shops (general store, ...). Ravie des 15 jours passés à cette demeure et j'y retournerai les yeux fermés. Merci à Maria et à Ahmed pour leur accueil très chaleureux, leur gentillesse et leur disponibilité. Une villa parfaitement fonctionnelle, propre, spacieuse, lumineuse et avec tout l'équipement nécessaire. Parking, Plages, restaurants, cafés, hôtels, épiceries à proximité. Un séjour parfait qui permet de vivre l’authenticité du pays. Je la recommande fortement. "This house is fabulous. It is spacious and has a feeling of serenity and tranquility -- an oasis amidst the hub-bub of Sidi Bou Said. We enjoyed breakfast in the small courtyard, and after dinner drinks on the roof terrace. The local bakery is excellent, as is the market, and the supermarket is adequate. The location is excellent and even though we were staying during peak tourist season, there were plenty of opportunities to enjoy the town before and after the day trippers. We used public transport to explore locally (including the Carthage sites) which was straightforward and inexpensive, and the owner of the house helped us arrange a rental car for a couple of days to explore further afield. The owner also collected us from Tunis, and he and his wife were very welcoming and generous with their time." We had a wonderful stay in this lovely house - which is light, airy and very comfortable. 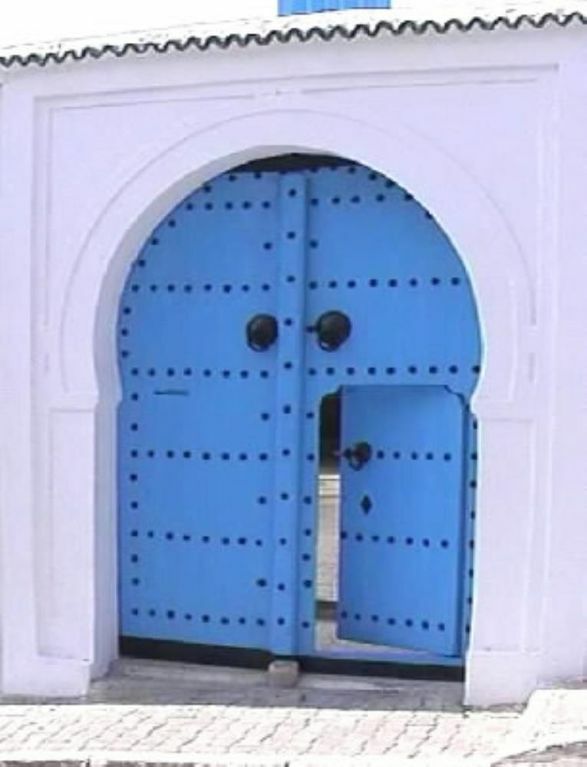 Sidi Bou Said is a lovely place, and we enoyed our stay there,everything about our stay, including the welcome and transport service provided to and from the airport made our holiday a relaxing and comfortable one. The public transport routes are excellent and cheap - we went everywhere easily by foot and train. "The villa in Sidi Bou Said was lovely. We thoroughly enjoyed our stay, from being met at the airport, the fresh dates and oranges that awaited us on arrival – all was fantastic. The sunsets over Tunis were spectacular! Comfortable and roomy – would love to return with the whole family!" "The villa provides facilities of an exceptionally high standard and is situated in a superb location. The owner ensured that we were made very welcome and we much appreciated the opportunity to stay in his property. We would certainly recommend it others and have every intention of returning ourselves." Ein typisches, gut ausgestattetes Haus mitten in Sidi bou Said, Vermieter kümmerte sich gut. (Text automatically translated) To visit: the residence of Baron d'Erlanger 2 steps from the house. You can take a taxi or the TGM (so RER) whose stations are all close to the Villa, to visit: the three thousand CARTHAGE, the medina of Tunis founded in the eighth century AD and the Bardo Museum (former Bey's residence) with the richest collection of Roman mosaics in the world ...Tips: the time will stop at Café des Délices where you can enjoy a magnificent view of the deep blue sea and the Gulf of Tunis sipping mint tea, the charm of Café Mats wow you.